The fund looks to hold a portfolio of stocks from a universe of stocks that play into nine identified social and environmental themes such as resource efficiency, sustainable transport, education or healthcare. With regional allocations in line with the MSCI World Index, the team can only focus on identifying stocks which have both strong ESG credentials and growth potential. We like the fund as it is one of the best performing sustainable fund has a solid SRI oriented process and has performed well versus peers, including those who don’t employ neither ethical nor sustainable processes. Ted joined WHEB in June 2009 and is a partner and fund manager. Prior to joining WHEB, Ted was a specialist in the renewable sector, advising on transactions in the renewable energy and utilities sectors at Dresdner Kleinwort and KPMG. Ted is a chartered accountant as well as a CFA Charterholder and has a degree in Philosophy and Economics from the University of Bristol. WHEB is a small, independent specialist asset management group focussed in the area of sustainability. There are two main divisions operating in infrastructure and in listed equities, the listed equities business was initially under the control of Clare Brook, previous Head of SRI at Aviva, until 2012 when key individuals of the Henderson SRI team joined and enhanced the investment process. WHEB Listed Equity manages £154 million (as of April 2017) and is owned 80% by the WHEB Group and 20% by the senior management team. 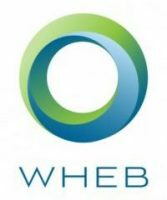 The members of WHEB Group include 2 family offices as well as some high profile individuals including Ben Goldsmith, Sir Stuart Rose (Chairman of Ocado and former CEO of M&S), Stuart Roden (Lansdowne Partners), Wolfgang Hanrieder (former Carlyle Principal).